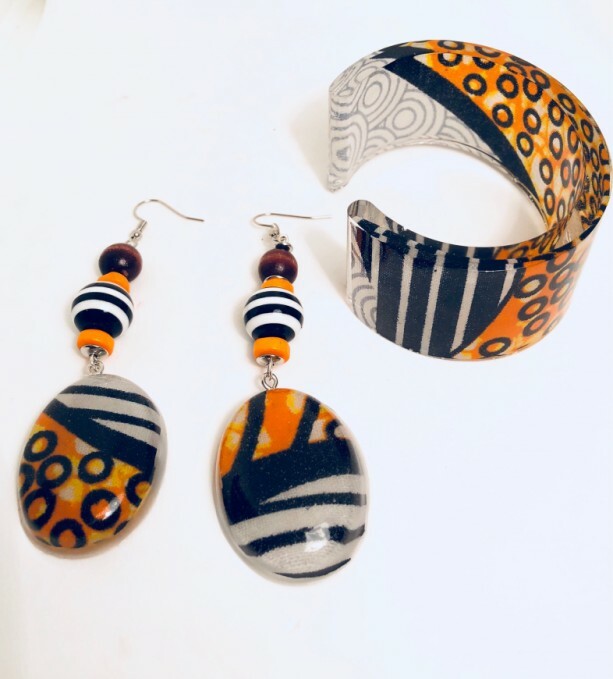 Beautiful resin earrings and cuff casted with colorful orange, black and white African Print Fabric. 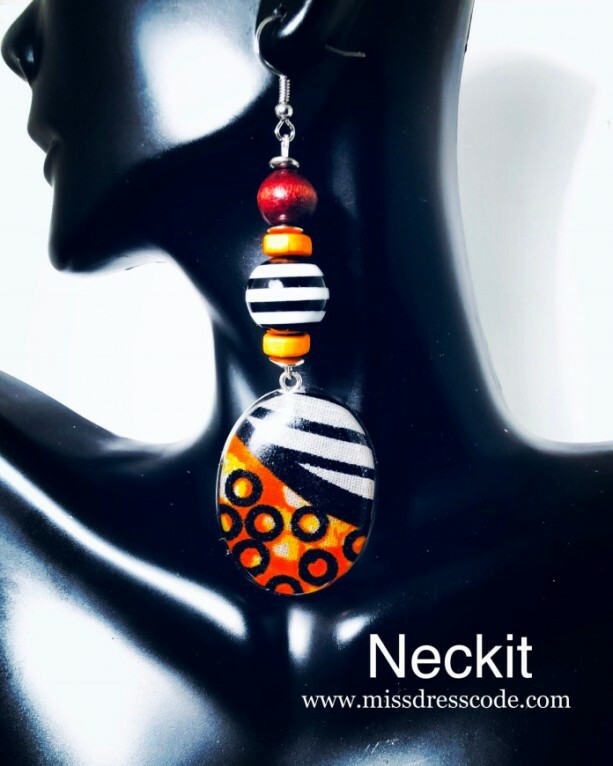 Earrings accented with wood and striped glass beads. Bangle measures 7”. Fun, vibrant, and unique. 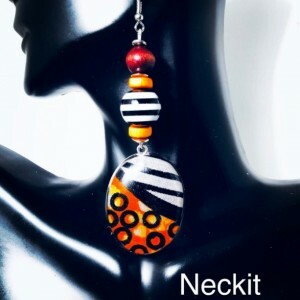 Measures 2 1/2”. 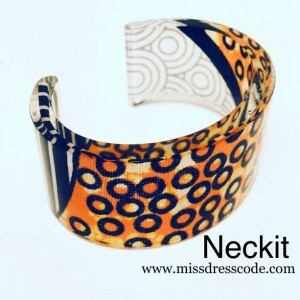 Nickel and lead free fishhook.